To express things that you see or feel in another language — expanding your visual literacy. To practice risk-taking in what might be a new mode of thinking and doing. To practice silencing your critical voice. Choose media that are appealing to you “in the moment” – computer tablet, ink2go, crayons, markers, beautiful paper or old newspapers. Then put stylus or crayon or pencil or pen to screen or paper. And draw. Free your mind from any critical thought. Let your drawing implement move where it wants to go. If you feel ideas and thoughts forming, let them come and support them with your drawing. This is not about being an artist. This is about “exercising” an often little used part of your brain. ￼There is no right or wrong drawing. Experiment freely with different media. 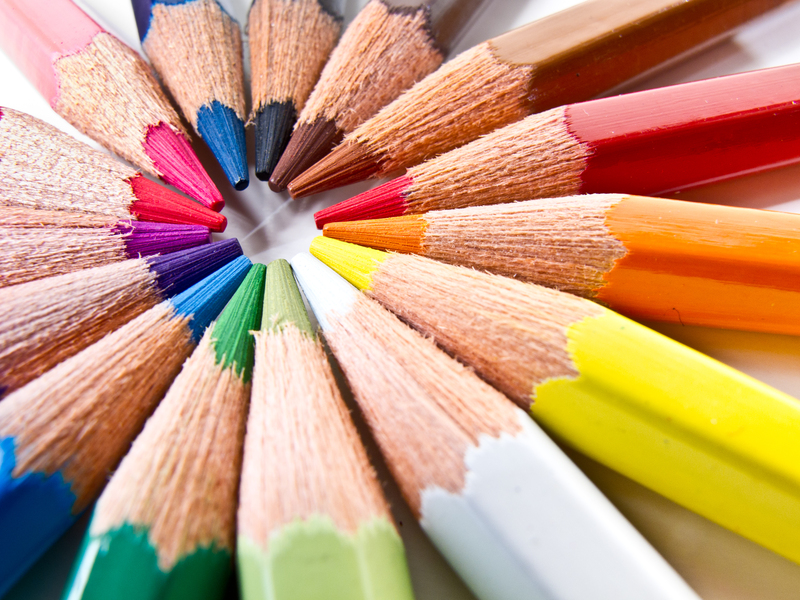 Do not hesitate to use different colours to stimulate your creativity.